The continuing diplomatic dispute in the Middle East is now affecting Qantas, with the Australian airline, which has a commercial alliance with Dubai-based Emirates, banning citizens of tiny Qatar from its flights via Dubai until further notice. 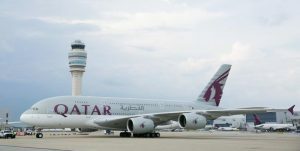 Qantas International chief executive Gareth Evans confirmed yesterday that Qantas would bar Qatari nationals from boarding Qantas flights via Dubai because the United Arab Emirates (UAE) has banned them from passing through its airports, according to a report carried in the Sydney Morning Herald. Qatar strongly denies the truth of those allegations and says a website was hacked, giving a false impression. Nevertheless, Saudi Arabia, Bahrain, Egypt, Yemen and the UAE cut off diplomatic ties with the small Gulf nation. Some closed off their airspace. The largest and most populous city in the UAE is Dubai, home of Emirates Airline, commercial partner of Qantas. DFAT issued similar advisories for Bahrain (home to Gulf Air and where current DFAT advice is “reconsider your need to travel”); Saudi Arabia, Egypt and the UAE. In the latest development, Turkey has stepped in to back its ally Qatar. Turkey’s parliament last night passed a law to allow Turkish troops to be stationed on Qatari soil and troops will soon be sent there. Britain’s Financial Times quoted a Turkish official saying Turkey “will not allow Qatar to be beaten up”. 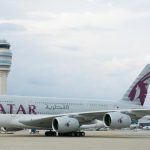 Saudi Arabia and Bahrain are reported to have revoked the licences of Qatar Airways on Tuesday and ordered its offices closed down within 48 hours, which will prove very expensive for the airline. Additionally, Qatar Airways is a critical early buyer of the B777-X series, with 50 of the B777-9s and 10 of the B777-8s on order, “or roughly 20% of total orders for the upgraded big twin jet due in service from late 2020”, Sandilands says. Qatar (pronounced cutter) is known to Australians as the nation that won the right to host the 2022 FIFA World Cup, beating Australia in a win that triggered much controversy at the time and has done so ever since.